Android 4.0 Ice Cream Sandwich was released with much fanfare this past November together with the Galaxy Nexus — you can read our full review here. 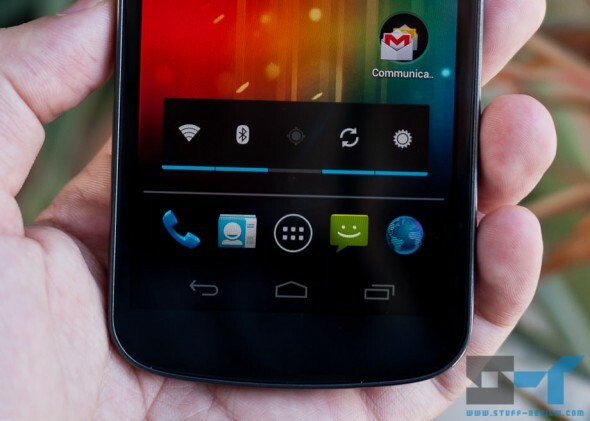 Ice Cream Sandwich (ICS) is a huge step forward for Google’s mobile platform, and offers a large number of visual and backend enhancements. We are pretty sure that every knowledgeable Android user can’t wait to get his hands on this latest version, however ICS currently only comes officially pre-loaded on the Galaxy Nexus, while existing Android device owners would have to wait if and when their devices get upgraded. The ASUS Transformer Prime tablet, will be the first device to receive an Android 4.0 update on January 12. Well, now we have the first official numbers for the adoption of Android ICS, which now accounts for 0.6% of all Android devices that have accessed the Android Market during a set period. 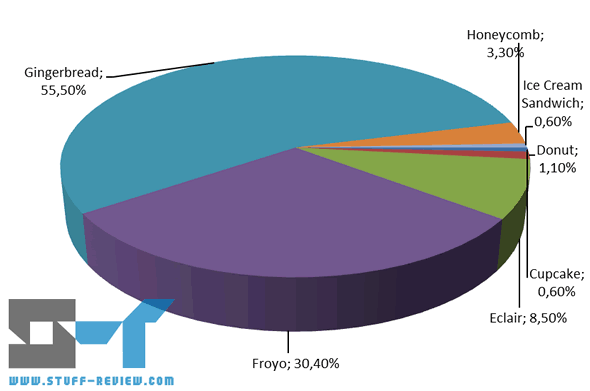 The pie chart below is based on the number of devices that accessed the Android Market within a 14-day period ending January 3rd. Of course Android 2.3 Gingerbread still reigns supreme at 55.5%, while it’s interesting to see that Honeycomb tablets still only account for 3.3% of all devices. Of course, the tables are going to start turning in favor of Ice Cream Sandwich once popular devices, like the Samsung Galaxy S II, finally receive their ICS updates.